WHAT IS A NOVELTY BOX? 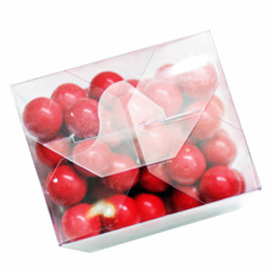 Novelty boxes are a plastic packaging option designed to stand out. They are in a class all of their own. These plastic novelty boxes range from plastic noodle boxes to boxes with printed closures on them. Then some are made with fancy shapes. They make great gift boxes. 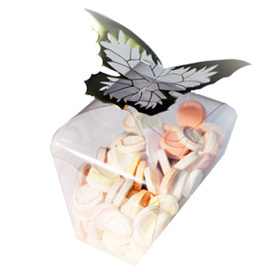 For a more simple box, take a look at our complete box range, or our suggested Bonbonniere range. Below are our current products (the butterfly box in the picture above is FCYBX001). We do sell to the general public. However you will need to be aware that our Minimum order is 1oo for unprinted items. 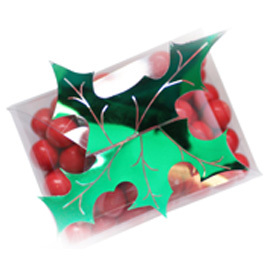 Plus if you are looking at our printed boxes you will need to ask us about a minimum order quantity for those.